According to Napoleon, a leader is a dealer in hope, which is something Pakistan dearly needs in these testing times. And for us, Imran Khan is the leader who can instil that sense of hope and pride back into our people. For a nation that turned numb to pervasive misgovernance and rampant corruption, and had resigned itself towards inefficiency and incompetency as the hallmark of the political system, this vision of a new Pakistan presented by Imran is nothing short of revolutionary. The style of governance we have become accustomed to over the years in our nascent democracy has failed to deliver, and there has been growing disillusionment with those in power and their lack of will (let alone the capacity or vision) to make policies for the welfare of the common people. Be it dictators or the politicians brought into power by the ‘popular vote’, there always seemed a visible disconnect between the governing and the governed, such that there was never an honest effort to work for the benefit of the most downtrodden classes of society. With the system hijacked by the powerful troika – the landlords, bureaucrats and the military – the main goal has unfortunately been the consolidation of individual power, authority and influence, while institutional reforms took a backseat. However, whether you agree with Imran’s policies or not, there is no denying that while he remains at the helm of Pakistani politics, the status quo’s ‘business as usual’ will not proceed any longer. Imran came into politics with the promise of working towards the welfare of the masses, and he duly delivered during his party’s maiden tenure in Khyber Pakhtunkhwa (K-P). In a province that was lacerated by terrorism and malgovernance, Imran’s Pakistan Tehreek-e-Insaf (PTI) successfully introduced sweeping reforms in police, regulated land records, established alternate dispute resolution courts, initiated the unprecedented billion tree plantation drive, issued health cards to millions of poor people and drastically improved the dismal conditions of hospitals and schools throughout the province; aspects no governments in recent memory had focused on. It is pertinent to note that all these policies benefited the people at large, not just a small minority of elites. It was because of these sweeping public welfare projects that the PTI became the only political party to be re-elected for a successive term in K-P.
During the 2018 Elections, people overwhelmingly rejected the old style of politics and turned to Imran to seek solace at a time when the country is facing a plethora of issues. At his inaugural victory speech, he laid out the vision he holds for the nation; one where the priority would be towards ensuring the welfare of the common man and to bring Pakistan out of its current predicament. Imran’s astute resolve and self-belief was evident by the announcement of the 100-day agenda, for which he even directed that a progress-tracker system be introduced whereby anyone could check how many promises had been fulfilled in time. One of the first decisions in this regard was the announcement to set up temporary housing in all major cities for the homeless who have no choice but to sleep on the streets. This compassionate act was a breath of fresh air for Pakistanis, who finally saw a leader actually deliver on his word, which had previously meant nothing more than empty political rhetoric. In another unprecedented move, Imran declared he would not live in the Prime Minister House. He reasoned that while millions of fellow citizens lived in abysmal conditions without basic necessities, he could never bring himself to live in such a palatial building, which could be used for better purposes than housing one individual. He delivered on his promise here as well, by converting it into a university. This decision showed the nation that Imran is leading from the front and is committed to challenging the political environment to bring about a positive change in the colonial mindset of the ruling elite. Be it his decision to convert the governor houses into public places or the selling of luxury cars meant for the use of the premier, these miniscule steps will hardly make a difference in clearing away the clouds of debt hovering over the state, but nevertheless, these steps are extremely significant. Why? Because through these simple deeds, Imran is showing the people that leaders are voted in to serve the nation, not to live lives of luxury and distance themselves from the very people who brought this power to them as a repository of their trust. The next time a prime minister comes in, at the back of his or her mind will be the precedent of simplicity set by Imran, and ignoring or changing this precedent will automatically lead to comparisons and criticism of wasting the public exchequer. One of the unique and defining aspects of Imran’s leadership is that it comes from a place of empathy and compassion for his fellow citizens. The call for facilitating Pakistani expats, the direction to formulate a uniform educational curriculum, the long overdue focus on population control and poverty alleviation, the afforestation drives to tackle climate change, the anti-encroachment drive throughout the country and the eminent amendments in the Civil Procedure Code to ensure speedy justice, all have a common denominator: ensuring the wellbeing of the masses. Yes, the Pakistan Peoples Party (PPP) and Pakistan Muslim League-Nawaz (PML-N) have played a vital role in the restoration of democracy, but despite ruling for many years, these parties lacked the visionary leadership to be able to focus upon actual issues, such as healthcare, education and eradication of poverty – steps that could have brought about substantial, tangible change in the day-to-day lives of ordinary Pakistanis. With Imran, we witness a man who is wholeheartedly determined to turn Pakistan around. One only has to hear his heartfelt speeches to observe his sincerity of thought: the way his eyes light up when he talks about the great future that awaits us is something truly inspiring. The manner in which he passionately shares his vision for Pakistan, and how the audience – be it journalists, politicians, students, envoys or businessmen – nods and feels encouraged by his words, that zeal is something not witnessed since the days of Zulfikar Ali Bhutto. For a country surrounded with so many issues on multiple fronts, to see your leader talking so positively while sharing his vision for a better future imparts hope, which is a huge success in and of itself. The best part is, his stubbornness in the face of adversity is well-known. From making the Shaukat Khanum Memorial Cancer Hospital a reality to establishing the Namal University, Imran has always proven to his doubters that with a clear heart, an iron will and trust in God, everything is achievable, and no amount of criticism will discourage him from serving the people. 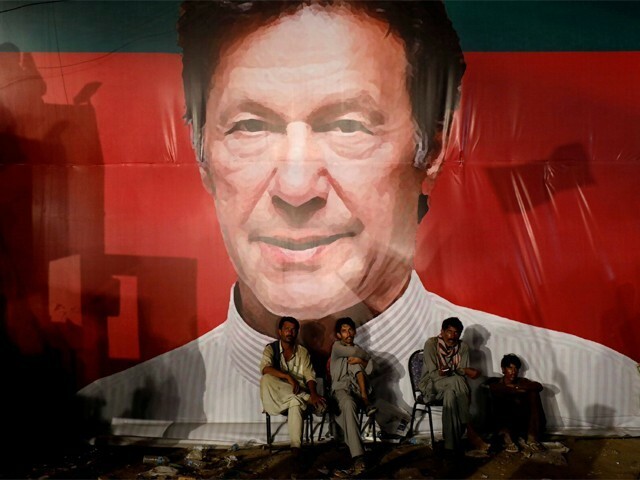 It is, however, quite likely that by the end of its term, PTI remains unsuccessful in bringing the dream of a new Pakistan to fruition, and the lofty ideals Imran talks about today may never see the light of day. But one thing is certain: come what may, Imran will not relent in exhausting every speck of his being to earnestly try and make Pakistan the rich, prosperous country he envisions it will become. This is a great article. Kudos to the blogger for writing it. He has done an excellent job. him down, pull him down…” which is exactly what YOU are doing now. Pakland would never be able to do THAT in the current atmosphere and rampant divisiveness. Never. Did Nawaz ever visit Parachinar. Which was attacked by terrorists 3 times in three months!! Killing more than 200 people. “Somehow” the terrorists got through 3 rings of security with explosive laden cars to park in the main bazaars to blow up. THREE times!! zardari left a trade deficit of $19 billion. Nawaz turned that in a trade deficit of $37 billion in just 5 years. Do critics have any idea where this money is going to come from? This says it ALL. But lets blame Imran Khan for this. Well done Usman Virk…… sad the other 99% bloggers here are shameless people,… with a clear agenda.